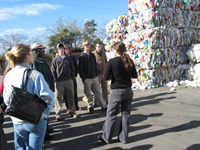 Charleston County encourages residents to learn more about recycling and waste by touring our facilities. Tours of the Bees Ferry Landfill and the Compost Facility are offered. To schedule a tour, contact the Environmental Management Department at (843)571-0929.